What’s your strategy?, do you have a plan or simply dumb luck. I’ve heard this phrase many of times, better lucky than good. Is this really how we live our lives or it just sounds good. When things happen, I believe there are cosmic forces which a-line and it’s the inevitable. We all go through life, not focusing on the negative, but focusing on the many opportunities a head of us. Some of us, were provided shelter, food, clothing and much more, while others are not so fortunate. Sometimes I wonder, who is better off? Those who have everything or those who must fight for their next meal. What makes a person ambitious, and having the determination to succeed. What turns on or better yet, what cause the individual to finally see what others have been doing for centuries. To be ambitious, or motivated and committed is somethings you can’t teach. I believe it’s just being lazy, and nothing more. So, I ask the question, what’s your plan. Don’t wait too long, and don’t get angry by kicking the can down the street. Your time will stand still, while others are excelling and growth never stops. The possibilities are endless, and going after something makes the journey all the more exciting. Everyday, you wait makes it a little harder and that’s more stressful. 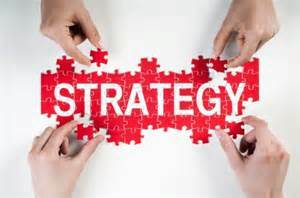 Whatever your strategy, make it fun and eventful, it all takes time, but having a “strategy” is the first step. Don’t be like that guy on direct T.V, you know what I’m talking about. Life is meant to be fun and full of struggles, and failures if not whats the point. We need excitement, and excitement needs us, so stop waiting around and hoping for a winning ticket. Have a strategy, and start living, enjoy who you have become and wisdom will follow. Success breeds, success. We all must be willing to adjust and tweaking our plans just a bit never hurts anyone. Life will always throw those curveballs at us, always be ready to adjust and finding your stroke makes it all the more fulling.